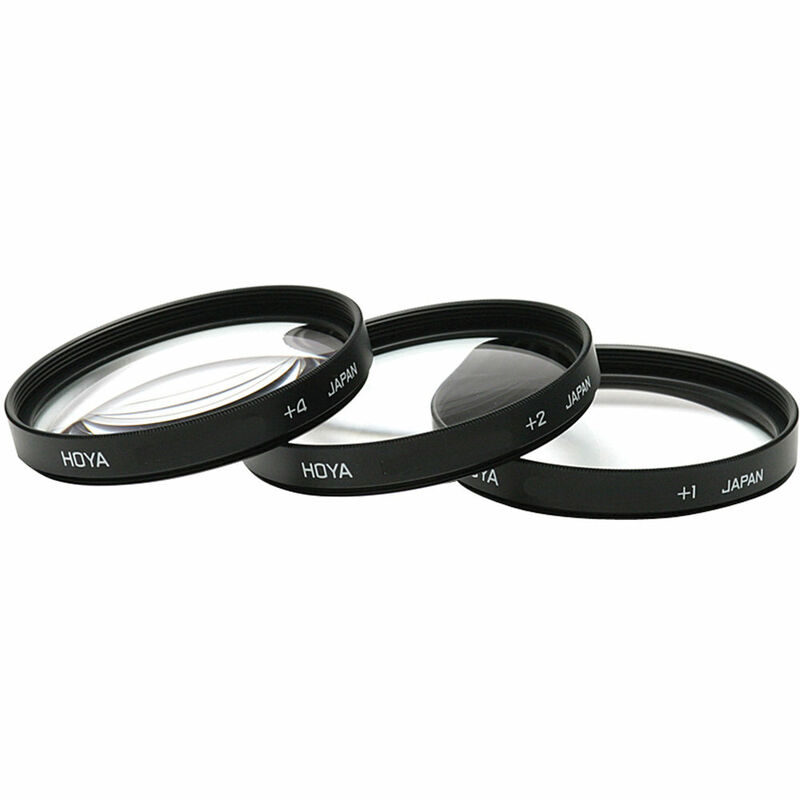 The 55mm Close-up Filter Kit from Hoya is a set of three filters designed for close-up photography. Each filter has a power of +1, +2, or +4, and can be used separately or in combination to photograph small objects such as flowers and insects at a close range. Close-up filters allow you to get closer to the subject. With close-up filters depth of field tends to be very shallow and it is recommended to shoot with smaller apertures for greater focus. 55mm Close-Up Filter Kit (+1,+2,+4) is rated 4.9 out of 5 by 7. Rated 5 out of 5 by Cesar from Excellent Accessory Great macro accessory. When stacked together they allow me to focus only about 4 inches away from my subject as apposed to 8inches without them. I use them on for my Sony A7ii with 28-70mm kit lens. I am blown away by the images I get from using them. When I post on Instagram people constantly ask me what macro lens I'm using. I would recommend using on a lens that is 70mm or over to really get some close up images. Also I get better results using manual focus. Rated 5 out of 5 by Anonymous from Camera bag must have Excellent accessory for macro photography! Rated 4 out of 5 by Tom Y. from it does the job! Mounting it on underwater camera housing port to be able to bring the focus distance closer. The image is bit soft on the edges. This could be a combination of the port on the housing and the lens that increased the gap between the camera lens and the close-up lens. If it is used directly on camera lens (not on the housing port) the image quality improves. Rated 5 out of 5 by Dennis L. from wonderful lens This lens really work well since my 35m lens does not have a macro ring. These filters act just like a Macro. Glad I got the filters. Rated 5 out of 5 by Dave from wonderful I enjoy the close up kit very much, it help me to get better pic, without zooming, and, losing my aperture, shutter speeds. Rated 5 out of 5 by Kevin from Incredible I stack all three to get the best macro out of my Nikon J 5. Great purchase. Rated 5 out of 5 by Anonymous from BEST DECISION EVER This close-up lens set is the way to go.